Accredited Drug Testing Inc (ADT) offers San Diego drug testing, San Diego alcohol testing and San Diego DNA testing at many locations in the San Diego, CA area for employers and individuals in need of a drug, alcohol or DNA test. In addition, most testing locations are within minutes of your home or office. Testing locations are open for DOT and NON-DOT drug and alcohol testing. Testing locations do not accept payment and require a test registration/donor pass to conduct a drug, alcohol or DNA test. You must call (800)221-4291 to register or online for the test. No appointment is needed, but a test registration is required. In addition, to our San Diego drug testing locations, Accredited Drug Testing has additional testing centers throughout the greater San Diego metropolitan area including Carlsbad, El Cajon, La Mesa and National City. Every day we work closely with companies of all sizes and all industries, as well as with third party administrators and individuals in need of an San Diego drug test. Our comprehensive portfolio of San Diego drug testing and San Diego alcohol screening services is designed to always meet your testing needs. Our service of San Diego drug testing, alcohol testing and DNA testing is designed to be your “One Stop Shopping” for all of your San Diego drug testing needs. The ADT San Diego drug testing centers provides a wide variety of standard drug and alcohol tests, as well as customized drug screening to meet a specific need. Our standard drug test is a 5 panel, 9 panel, 10 panel, 11 panel and 12 panel screen which can also be expanded to look for additional opiates, prescription drugs, K2, spice and bath salts. If you are not sure of what particular San Diego drug test you need, please speak with one of our trained professionals to review some of the many options available to you at our San Diego Accredited Drug Testing centers. Our California drug testing centers are located throughout the state and our ADT staff members are committed to providing affordable, convenient and confidential drug, alcohol and DNA testing services. In 1996 State of California passed Proposition 215, a State Constitutional Amendment which permitted the possession and use of small quantities of marijuana for medical purposes only. This change in State law while providing protection for patients from criminal prosecution had no affect on Federal law which considers medical marijuana a schedule 1 drug and continues to be illegal under Federal law. Employers therefore may continue to promote a drug free workplace and prohibit the use of any illegal drug including marijuana. It is however imperative that an employer in California or any State that permits medical marijuana specifically address this issue in their drug free workplace policy and insure that all employees are fully aware of the policy. While the relationship with medical marijuana and the workplace continues to evolve, the courts in California and other States continue to support an employer’s right to maintain a drug free workplace. Accredited Drug Testing is pleased to provide San Diego Drug Testing Services. San Diego is the 8th largest city in the United States and the second largest city in the State of California. In 1821 San Diego became part of the newly independent Mexico and in 1850 San Diego became part of the Unites States with the admission of California to the Union. The City of San Diego is the seat of San Diego county and the University of California along with UCSD Medical Center has helped make San Diego a major center of research in biotechnology. Downtown San Diego is located on San Diego Bay and a narrow strip of land at the bottom of San Diego Bay connect the southern neighborhoods with the rest of the city. The City of San Diego, California has a population of over 1,310,000 people living in the City of San Diego. The City of San Diego’s economy is primarily made up of defense, tourism, international trade and research. The City of San Diego is home to the San Diego Zoo, Balboa Park, Sea World San Diego and in 2012 the City of San Diego hosted more than 32 million visitors. The State of California recognizes the benefits of a business being a Drug Free Workplace and encourages employers to promote a Drug Free Workplace environment. Accredited Drug Testing Inc can develop, implement and manage all aspects of an employer’s California Drug Free Workplace Program. California employers may require pre-employment, random selection, reasonable suspicion and post accident testing and California drug testing laws may provide employment related protections to an employer when action is taken against an employee who violates the company’s drug and alcohol policies. Employers who utilize a San Diego Drug Testing Program will find that employees are more reliable, trustworthy and dedicated to their job. California companies regardless of size wishing to implement a California Drug Free Workplace can contact Accredited Drug Testing and ADT can schedule all drug tests and manage the entire California Drug Free Workplace program for our clients. Simply speak with an ADT drug testing representative and tell them you are interested in our San Diego drug testing services and programs. When it comes to employee drug testing, we recognize the importance of convenience and confidentiality. For that reason, we offer online scheduling and delivery of test results, which allow employers to utilize our services from the convenience of their office. In addition, we also provide Mobile San Diego Drug Testing that brings our drug testing services right to your place of business. These on-site services are able to ensure maximum employee participation as well as minimum disruption to the work day. (Additional fees may apply). In addition to offering San Diego drug testing, ADT also offers urine, saliva, breath and ETG alcohol testing for DOT and NON-DOT requirements. 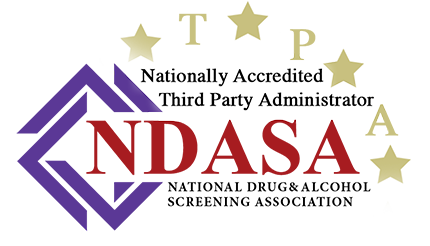 As a National drug and alcohol testing company, the staff of Accredited Drug Testing Inc is certified and qualified in DOT drug and alcohol testing collections and our in house DOT specialists are fully knowledgeable of DOT 49 CFR Part 40. San Diego drug testing services for DOT regulated businesses including PHMSA, FMCSA, FAA, FRA, FTA and USCG include drug and alcohol testing, Consortium/Random Selection, Supervisor Training and DOT Drug & Alcohol Policy. Immediate compliance with all DOT requirements. All DOT tests include test collections by a qualified ADT technician, SAMHSA certified laboratory analysis and verification by a qualified Medical Review Officer. Accredited Drug Testing provides DOT required 5 panel urine tests, breath alcohol tests, consortium/random pool membership and all Federal Chain of Custody documents. If you need a DOT drug or alcohol test, simply call the ADT office and speak with one of our DOT drug testing specialists. ADT can schedule and manage all of your DOT and NON-DOT San Diego drug testing needs. Nationwide, Anywhere and at Anytime. In addition, to San Diego drug testing, San Diego alcohol testing and San Diego DNA testing, Accredited Drug Testing Inc also provides background checks for employers conducting employee screenings. Accredited Drug Testing also provides Department of Transportation (DOT) physicals for CDL truck drivers (49 CFR, Part 40) or companies in need of Return To Duty or Job Fitness exams.